I will meet in person with my client to discuss the case, the framework, the pros and the cons of their case, and provide you request for services document that will spell out my rates. This consultation is free of charge up to one hour. All fees below are inclusive of travel time to and from the office in Bellevue. 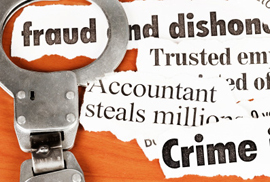 Our specialized investigation conducts discreet financial and asset investigations of individuals and businesses. We have access to a wide range of sources to locate assets. We are very experienced in locating hidden assets. We also perform limited financial investigations to determine whether or not a recovery or litigation is worth pursuing. Typical assets identified may include any of the following: real estate, vehicles, personal property, bank accounts, employment, stocks/bonds, business ownership, and others. Asset Searches- We perform bank account and investment searches anywhere in the USA and the World. Bank account searches can be used to collect on Judgments, obtain the net worth of individuals and companies. Our company specializes in locating hidden assets such as bank accounts, stocks, bonds, mutual funds and other securities. The Gramm Leach Bliley Act requires that all financial investigations into bank accounts and broker account searches have a permissible purpose. Our searches are performed legally, therefore our firm requires the requesting party to have a valid need for this type of information. You must provide copies of an original judgment, child support or court documents, and all investigations must be paid in full prior to the commencement of an assignment. • When successful, provides the name & location of bank(s). Liquid Asset Search, and is subject to certain restrictions under applicable Federal Law. We require certification of acceptable permissible purpose to conduct this search. Typical turn-around time is 7-10 business days. • State-wide search (one state). • Conducted on an individual or company. • Searches for any number of boxes, not just one single box. • If successful, provides the name and location of bank(s). “Liquid” Asset Search, and is subject to certain restrictions under applicable Federal Law. We require certification of acceptable permissible purpose to conduct this search. Please note that this search can only be conducted to located boxes held by Decedents and persons adjudged to be incompetent. It is not available in debt collection matters and a copy of the death Certificate and/or letters testamentary. In the case of a person Adjudged as incompetent, please provide a copy of the court Documents appointing a guardian and/or executor of the person’s Estate. Typical turn-around time is 4-8 weeks. • Searches for investment and brokerage accounts held through selected Major local, regional, and national public investment & Brokerage firms. • This search targets major local and regional firms as well as selected Major national firms. • If successful, it will return the name and location of the firm, and type of account. • This search can be conducted on an individual or a business. • PLEASE NOTE: This particular search is considered to be a “Liquid” Asset Search, and is subject to certain restrictions under applicable Federal Law. We require certification of acceptable permissible purpose to conduct this search. Additional information can be found in the section relating to the Legality of asset searches. • A statistical analysis (which generates a numeric score) to determine the likelihood of a material financial recovery based upon available data of an individual’s assets. • This search utilizes database information such as current Mortgage obligations, real estate ownership, public record filings, and other available financial information to provide an indication of the individual’s current financial standing. • A great “low cost “tool used to evaluate the likelihood of debt collection. Typical turn-around time is 3-7 business days. • A search to obtain an individual’s current employer. • Search conducted on a “per state” basis. Typical turn-around time is 7-15 business days. • A search to determine an individual’s current liabilities. Report will include recent credit card balances, mortgage balances, auto loans/leases, installment loans, credit lines, etc. • This search is useful to assist in the determination of the likelihood of a monetary recovery from the search subject to confirm representations of the subject’s indebtedness, etc. • PLEASE NOTE: This particular search is considered to be a “Liquid” Asset Search, and is subject to certain restrictions under applicable Federal Law. We require certification of acceptable permissible purpose to conduct this search. Typical turn-around time is 3-5 business days. Typical turn-around time is 3-10 business days. • PLEASE NOTE: This particular search is considered to be a “Liquid” Asset Search because it contains the Investment/Brokerage Search, and is subject to certain restrictions under applicable Federal Law. We require certification of acceptable permissible purpose to conduct this search. • PLEASE NOTE: This particular search is considered to be a “Liquid” Asset Search because it contains the Enhanced Bank Search, and is subject to certain restrictions under applicable Federal Law. We require certification of acceptable permissible purpose to conduct this search. We require certification of acceptable permissible purpose to conduct this search. Typical turn-around time varies with each search component, up to 20 business days. • Bank Relationships Locator Search ( if successful will return the name of one current banking relation. • Vehicle Ownership by name (per state – Not Available in Georgia or Hawaii.) Turn-around time varies per individual state depending on restrictions for each state. Typical turn-around time is 5-7 business days. (With the exception of the Bank Account Locator.) * We can hire a consultant at extra fees to conduct searches in the State of Hawaii. Typical turn-around time varies with each search component. All searches are completed according to current Privacy Laws and FCRA Rules, either through Be Prepared Investigative Services or their authorized consultants. Our asset search reports are prepared based on information found in our Search databases, and other information developed through investigator inquires, etc. Typical uses of these reports are to assist in the recovery of Judgments, Child Support obligations, fines, restitution orders and other lawful financial obligations to evaluate settlement offers and possible business relationships and to determine the economic viability of litigations. The information provided in these search reports is for use as “background information” only. No report is acceptable for use as an exhibit or as evidence. It is the sole responsibility of the client to obtain evidential verification of all information in these reports if such a need exists. The research and investigative techniques used to obtain information is conducted in a highly confidential manner and in full compliance with federal and state financial privacy laws. All information provided to the client shall be held in strict confidence and shall never be reproduced, revealed or made accessible to any other party and shall never be revealed under any circumstances to the subject of this inquiry in any manner or form. These search reports and financial inquiries have proven, in many cases, to be a cost-effective tool for attorneys and law enforcement agencies to recover assets and obtain more detailed information on the search subject. However, No Warranty of any nature is provided by Be Prepared Investigative Services and Survival Supplies, LLC to the client, or to any third party, as to the accuracy or completeness of the information revealed in the report. Information is obtained from a multitude of databases, recordkeeping systems, and other sources over which Be Prepared Investigative Services and Survival Supplies, LLC and/or its affiliates have no control. These are fallible electronic and human sources and there is No Guarantee of any kind whatsoever as to the accuracy, completeness, timeliness, or availability of records, or to the fitness for the purpose(s) of the client in obtaining such report(s). We suggest that you confirm pricing, availability and turn-around times before requesting a search. Searches are performed strictly in accordance and conformity with the search product descriptions subject to all limitations, disclaimers, restrictions,etc. found herein. No change, revision, enhancement or alteration is permitted with regard to the search product components and descriptions unless mutually agreed upon in writing by both the client and Be Prepared Investigative Services and Survival Supplies, LLC, subject to any additional charges or revisions of price that may be necessary for additional services rendered. Databases designed for the investigative trade. In general, these are not “public access” databases, and in the vast majority of cases, you would not be able to locate the same information through conventional “websites”, etc. While our search techniques have been instrumental in identifying millions of dollars of debtor assets, we cannot guarantee that a search will identify every possible asset or bank account that may exist. Every effort is made to uncover asset information on your behalf; however, due to the limitations and restrictions detailed above, no reputable asset search firm would ever guarantee that a particular search would be successful in identifying virtually 100 % of the assets in question. Be Prepared Investigative Services utilizes a unique database service available only to retired Police or government agents. Furthermore, when conducting “liquid asset” searches, such as the Enhanced Bank Search or the Investment Account Search, it may be impossible to obtain current account balances, or even an indication of average account balances. These searches are conducted with the understanding that there is no guarantee that we will be able to obtain specific account balances, average account balances, etc. Your search request is processed as promptly as possible. The turn-around times listed in the asset searches are general estimates, based on typical searches in the past. Your search may take a longer or a shorter period of time to be completed, based on available information, response time from our information sources and suppliers, volume of search requests, etc. Turn-around times are quoted in Business days, which do not include weekends, major holidays, etc. While we strive to complete searches promptly, and within the general turn-around times quoted, there is no guarantee of a specific or exact completion date. Search requests are processed immediately upon receipt, and incoming search requests are immediately assigned to myself or an outside investigator/consultant or researchers. As our staff and/or affiliates will devote time, costs and facilities to your request, and incur search expenses, database access fees, etc., searches are not subject to cancellation with a refund of the search fee. While we can accept your request to cancel a search, it is done solely with the understanding that the entire search fee remains due and payable. There is absolutely no refund of the search fee under any circumstances. These searches are available only under the following circumstances. 3. If a bona-fide business relationship exists between the parties, such as a tenant/landlord relationship. If you have any questions or if you would like to discuss your particular situation to see if it meets the requirements of conducting a “Liquid” Asset Search, please contact our office at phone number 206-714-4435 and speak directly to me about your matter. 1. Type of search you are ordering. 2. State the nature of case – collection of debt, Judgment, matrimonial, etc. 3. Include as much information as possible on the search subject such as name, last known address, social security number (individual search) tax identification number (business search), phone number, date of birth, etc. Please remember: the more information you provide to us, the more extensive and thorough our research will be. All Searches are Pre-Paid – Payment is expected when order is placed. Payment Options: Bellevue sales tax is added to all orders automatically. 1.) Pay using PAYPAL account, Visa, MasterCard, and American Express are accepted. 2.) We do not accept personal checks for these services. We do accept Cashier’s checks that are sent via US Postal Service Priority Mail with tracking, UPS or Fed Ex to Be Prepared Investigative Services & Survival Supplies LLC, mail to 15600 NE 8th Street, Suite B-1-983, Bellevue, Washington 98008. 3.) *Please note, if sending a Cashier’s check, add the City of Bellevue, Washington sales tax of .095%.